Dropsy in itself is not a disease but a symptom of one. 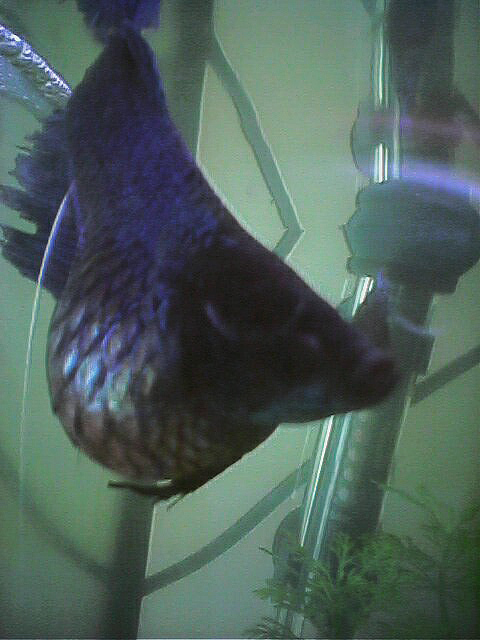 Dropsy describes the severe organ failure leading to the swelling and pineconing of the scales we sometimes see in our bettas. Part of the reason it is so difficult to treat is because several things including internal bacterial infections, viruses, and parasitic infestations, all of which have different methods for treatment, can cause it. Even if the source is determined it is not uncommon for the fish to later die from the irreversible effects of kidney failure or damage to the other organs. Once the disease has progressed to the point of abdominal swelling it is rarely treatable. Additional symptoms of Dropsy include lethargy, dulled color and loss of appetite. Dropsy is sometimes confused with the abdominal swelling associated with constipation. Viewing from above can identify differences. When Dropsy occurs the swelling shows obvious protrusions when looking down on the fish. Bloating caused by constipation is usually only obvious when viewing your fish from the side. Pineconing does not occur in a constipated betta. Dropsy is not considered contagious but the infection that caused it could be so it is advised that sick fish be quarantined in a hospital tank. It is also wise to sanitize any shared equipment like nets, siphons, or measuring spoons with a solution suitable for cleaning aquarium equipment. Because the success rate is so low it is entirely up to you to treat this illness. In many cases the treatment is so potent that medicine can cause even more damage to the kidneys. If you are sure of the cause then treat accordingly using the proper fish medication. In most circumstances the cause is not obvious. In these cases it is recommended to use a broad-spectrum antibiotic or a combination of a gram-positive and gram-negative antibiotics. This will cover a variety of common bacterial infections. I recommend a combination of Mardel’s Maracyn and Maracyn-Two. Kanacyn is also a very good antibiotic but is quite strong and may or may not cause additional damage. If your fish is still eating it will be more effective to soak some pellet food in a mixture of tank water and antibiotic and feed it to him. This will allow the medicine to take effect more quickly. This can be done in addition to the package directions. Whether or not you choose to treat Dropsy it is important to make your fish as comfortable as possible. Lowing the tank water level and placing plants in the tank will allow him easier access to the surface for air. 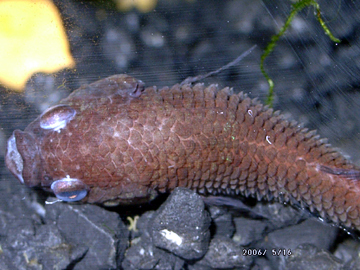 Some aquarists will fashion a sling out of netting and place it just below the water’s surface allowing the betta to always stay near his air supply. Many medications cause dissolved oxygen levels to drop so adding an air stone may help replace lost oxygen. Rapid gill movement and gasping are signs of depleted oxygen levels. To relieve the discomfort of bloating add 1/2 tsp aquarium salt per gallon of water. This will help to draw some of the fluids out and relieve pressure. Epsom salt baths are not recommended because of inconsistencies in their success rate. As always never use table salt in a fish tank. Aquarium salt can be purchased at your local fish store. Most importantly, keep your tank water clean and stable and your temperature at a comfortable 78˚F [25.5˚C]. Use caution when selecting a medication for your betta. Avoid any herbal tonics or remedies that contain Melaleuca like Melafix or Bettafix. These medications are mostly antiseptics and may not be appropriate for serious infections. If your betta is sick enough to need a real antibiotic then give him one. Antibiotic resistance is a problem facing aquarists all over the world. This occurs when bacteria evolve to make newer, stronger strains that cannot be combated by available antibiotics. To avoid creating tougher strains of bacteria be sure to carefully follow the directions on the medicine package and to never stop or change medications part way through treatment unless your betta is having a dangerous reaction to them. As with any disease, remove your sick fish from the community tank and isolate him for treatment in a hospital tank. Never medicate healthy fish.